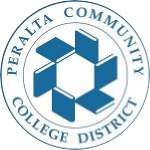 Oakland, CA – (January 5, 2017) Peralta Community College District Chancellor Jowel C. Laguerre, Ph.D., has selected Dr. Audre Levy as the new Laney College Interim President. She will assume leadership on Monday, Jan. 9. In the meantime, Dr. Laguerre will serve as Laney’s Acting President. A Michigan native, Dr. Levy comes to Laney with five advanced university degrees and decades of experience in higher education. She’s held positions of leadership in California at the Los Angeles Community College District, including serving as president at Glendale Community College. She was also a leader at the Dallas Community Colleges in Texas, and in Florida, at Edison Community College. Dr. Levy comes out retirement from her most recent role as president of Lone Star College-CyFair in Cypress, Texas where she spent six and half years. Dr. Levy will serve in her role at Laney until the Chancellor’s Office concludes its search for a new president. She succeeds Dr. Patricia Stanley who served as interim president until Dec. 31, 2016. Click here for Dr. Levy’s biography.